The Hawaiian Islands, sitting in the middle of the Pacific Ocean some 2,800 miles from the Americas, and even farther from Asia, are the most isolated islands on Earth. But what sets Hawaii apart from other island destinations is a cohesive infrastructure that boasts modern airports, excellent highways, state-of-the-art communications, world-class cuisine and virtually all the conveniences and amenities found on the mainland. Most visitors travel to Hawaii by flying in and out of Honolulu, the state’s largest city located on the Island of Oahu. However, flights to Maui (OGG), The Big Island (KOA) and Kauai (LIH) are now available from west coast hubs like Los Angeles, San Francisco, Portland and Seattle. Deciding which of the islands to visit when you travel to Hawaii may be the toughest choice you’ll have to make. The most common confusion faced in planning a Hawaii vacation is as simple as, “Which Island is which?” But this pilikia (little problem) is simple to solve. 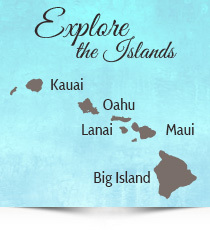 Just remember that the Big Island is NOT where Honolulu, Waikiki and Pearl Harbor are found. Those attractions are on the Island of Oahu, Hawaiian for “The Gathering Place,” where about 75% of the state’s residents reside. “The Big Island” is the most common moniker for the Island of Hawaii, the southernmost of the four major islands, where Kilauea volcano is adding real estate on a daily basis. Kauai, “The Garden Island,” is the oldest, northernmost, coolest and wettest island—some 90 miles northwest of Oahu. Situated between Oahu and The Big Island is Maui, “The Valley Island”—actually two islands connected by a fertile isthmus. The Island of Lanai, often referred to as the “Private Island,” sits just 19 miles off the west coast of Maui and offers some serenely sensuous settings. The Hawaii experience is as varied as the islands themselves. Perhaps nowhere else in the world do the forces of nature so breathtakingly converge to expose the birth of the planet. Throughout the Hawaiian Islands, glistening mountains and the blue Pacific enhance the verdant hues of lush tropical terrain to create an aura of unsurpassed tranquility. Fields of lava, ablaze in richly eerie earth tones of brown and black, contrast with sparkling white sand beaches in a surreal display. As for the sheer spectacle of nature, the elements— careening waterfalls, magnificent rainbows and breathtaking sunsets—combine to inspire the soul and enrich the senses. For every visitor, Hawaii is a fantasy realized. 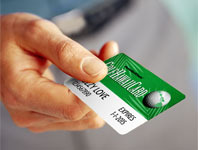 Plan your next Hawaii Golf Vacation by contacting us for accommodations, vehicle rentals and general Hawaii travel information. Book the Best Hawaii Vacations with us and enjoy huge savings. Our knowledge of Hawaii—lodging, tourist attractions and great experiences ensures you’ll receive the vacation of a lifetime. You can select and enjoy the best of Hawaii Golf and other Hawaii attractions, including Oahu tours, Big Island Hiking, Kauai Sport Fishing, Honolulu Food Tours and Sunset Cruises, among other enjoyable activities. Your Vacation in Hawaii will be an experience you and your family will never forget. If you’re a golfer, you’ll be playing as much golf as you can while in the Hawaiian Islands. It doesn’t get any better than this. Book the best Hawaii Vacations in Maui, Kauai, Oahu and The Big Island today.